passing the law courts today I noticed that somebody has left a half pound bag of sugar in the scales of Themis. Paul Newman, one of the last of the great 20th-century movie stars, died Friday at his home in Westport, Conn. He was 83. If Marlon Brando and James Dean defined the defiant American male as a sullen rebel, Paul Newman recreated him as a likable renegade, a strikingly handsome figure of animal high spirits and blue-eyed candor whose magnetism was almost impossible to resist, whether the character was Hud, Cool Hand Luke or Butch Cassidy. The Geek Curmudgeon wants a Taboo retrospective in book form, and Steve Bissette responds to explain why it's unlikely to happen. i had that situation last night when you've woken up and can't get back to sleep for worrying about a problem. You get up and fret and fuss and pace and after a few minutes you realize that it was no more than a problem you invented in your dream. I went back to bed and I woke up in the morning to a painful nostalgia for a second dream that will be lost to me forever. It was a night of infinite possibilities. Watching the Bookslut interview the other day, I felt that, for the sake of humour, I had made my self-publishing period look like a series of calamities. It was quite the opposite. We published 87 separate items in seven and a half years (including multiple editions of From Hell and a couple of other books), which is close to something every month, and not a single one lost money, even allowing for printers and distributors going bankrupt around me. In between those we were busy packaging stuff that was published elsewhere, such as the seven (of 11) serial issues of From Hell published by Kitchen Sink Press that came out in those years, but lots of other stuff too that I've never attempted to count, including short things for anthologies, covers and other embellishments for foreign editions, etc. etc.. Furthermore, From Hell, which I rescued from a complicated legal trap (with much help from a knowledgeable friend for which I will be eternally grateful) went on to sell 65,000 copies in the collected form that I put together with my associates at Campbell Industries (as we affectionately called the business) before I lost interest in the publishing side of things and handed the reins to Chris and Brett at Top Shelf. They made a much better looking edition than mine, on better paper, with cover flaps. The original Diamond Distributors ordering was so cautious (6,000 copies) that I opted to take no chances spending money on fancy trimming. That book has by now probably sold around 250,000. 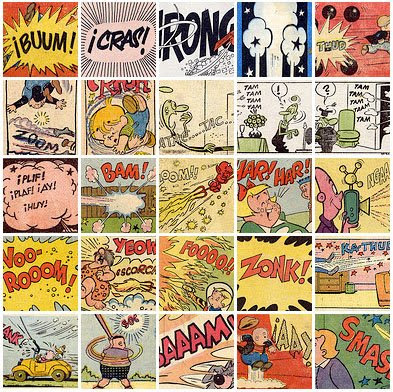 That includes licensing to about nine foreign domains including Knockabout in the UK, Delcourt in France, Planeta in Spain, etc. I even lost interest in counting after a while, so those figures are conservative Campbellian estimates. It's indicative of the divide between the comic book and regular book trades that From Hell has never showed up on a best seller list anywhere, which it certainly would have done at its height, around the time of the movie's release, if the figures had registered in the book trade's counting machinery. 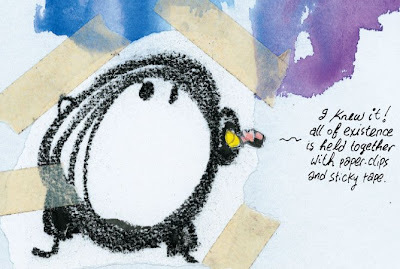 Chris Staros tells me that the book is back at the printer yet again, this being I think their fourth (fifth?) printing. Add that to my five, which averages around one a year since its launch in Dec 1999. You may remember it was out of sight for about a year and a half after our first printer went bankrupt and before we had successfully made a good digital copy of the whole work. Print-outs in my files show that toward the end of that gap you could have gotten a 'very good' copy second hand via Amazon for $125, and with 'slight shelf wear' for only $100. 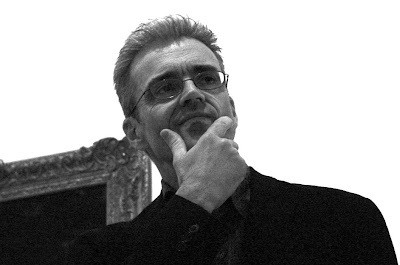 I must say I was quite touched to see my buddy Pete Mullins, for whose contribution to From Hell I will always be grateful, reflect fondly upon the days of Campbell Industries on his blog last week. Happy Christmas and happy 250th issue! An all-star creative cast leaves five new holiday tales under the tree in this oversized holiday special. 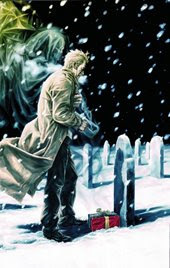 See what the season has in store for the always-naughty, never-nice John Constantine. It’s the most wonderful time of the year! Right? up to the moment I was having a beer with the two tv producers, and leaving out random video taped interviews, and a couple of short super-8s I made when I was a kid, I had never been practically involved in any film project. Except for once when I found myself in front of a camera in September 2006, for a shoestring budget movie and I don't know if it ever was, or ever will be, completed. It was for a fellow who likes my books and thought it would be a hoot if I took a walk-on cameo part in his movie. So I was a wealthy art buyer scrutinizing some antique paintings in an actual gallery which was closed for refurbishing but to which they had acquired access for a day. I was unnamed but when the young lady, playing the manager of the gallery, comes in and addresses me, I suggested that I ought to be named. What name? 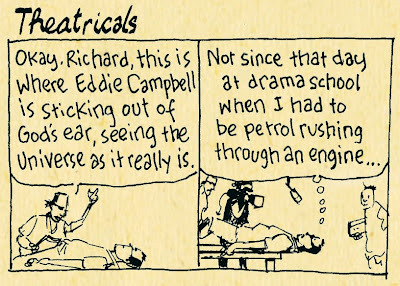 How about 'Mr Campbell' I offered, and so it was. I wasn't required to speak, just look contemplative, walk the length of the gallery, then answer my mobile phone before leaving in a hurry. Never having owned one, I kept squidging that part of the performance. If nothing else, I've got a still of me imagining I'm in some old film noir classic. how would you like to be sent off when the time comes? Cremation: Became the favoured option more than 40 years ago; now seven out of 10 corpses are disposed of at crematoria. But complaints over CO2 emissions and the mercury in dental fillings, as well as the huge amounts of energy needed, have raised serious questions. Lift and deepen: As justice minister last year, Harriet Harman allowed the deepening of 100-year-old graves to make room for up to three more coffins. burial standing up: The Ministry of Justice's investigation of the burial crisis also saw the potential for corpses to be interred vertically to maximise plot space. aeration: A number of cemeteries are planning to drive poles into older graves to allow more air in and speed decomposition. Plots could then be reused more quickly. promession: Local authorities are investigating a "freeze-drying" procedure, where bodies are dipped in liquid nitrogen and vibrated for 60 seconds until they shatter into powder. resomation: The early leader in the new generation of "human disposal" options. The body is placed in a resomator, and submerged in water and alkali at 150C. In three hours, it turns to liquid and soft calcium dust. Boil me like a Christmas pudding, Ma! Of all the mischief in the book, I was inclined to feel that this notion was a little dishonest, because I really couldn't picture a situation in which anyone would be filming my real-life stories. (Let's leave the From Hell movie aside, which is a different beast altogether and I really wasn't physically involved with that). But within a few months of the release of Fate I found myself having a beer with a couple of television producers. "Henley Royal Regatta is a rowing event held every year on the River Thames by the town of Henley-on-Thames, England. 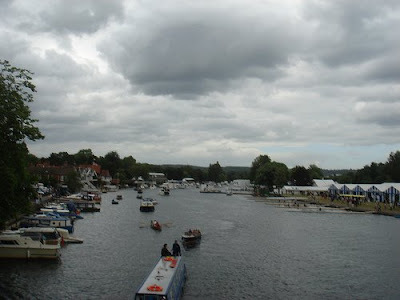 The Royal Regatta is sometimes referred to as Henley Regatta, its original name pre-dating Royal patronage. The regatta lasts for 5 days (Wednesday to Sunday) over the first weekend in July. Races are head-to-head knock out competitions, raced over a course of 1 mile, 550 yards (2,112 m). 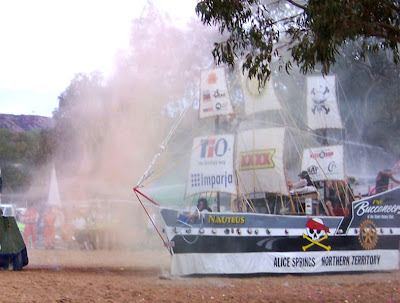 The regatta regularly attracts international crews to race." 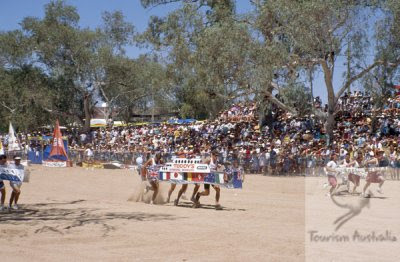 "The Henley-on-Todd Regatta is a 'boat' race held annually in a dry sandy Todd riverbed in Alice Springs in outback Australia. "Reg Smith was the creator of the Henley-On -Todd in December 1962. The Rotary club of Alice Springs met for a picnic at 16 mile creek, where they discussed ways to raise money for charity over a few beers. 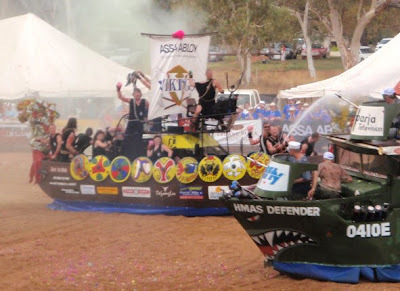 Reg came up with the idea of holding a waterless 'Regatta' on the dry bed of the Todd River. "Okay, what about the boats- do we tow them or push them?" "Neither," said Reg. "We cut the bottoms out and carry them!" One year, 1993, all the day's activities were cancelled because it rained and the Todd filled up with water. a whole bunch of Campbelliana seems to have appeared overnight. The lovely Jessa Crispin is interviewing me at Bookslut. This took place on 29th July in Chicago. 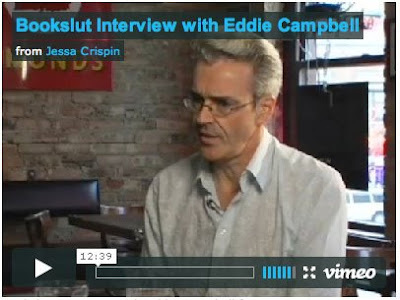 Brown Finch Films ( Check their excellent site), who shot the interview, also captured my 35 minute comedy routine. It's supposed to be a 'reading', but how do you read a comic book out loud? At one point I was galloping around pretending to be a horse. I'll let you know when they post some of it. Meanwhile, in the interview I mention our tv show which is in development. I'm almost ready to start telling you all about that here, and God knows how I've managed to keep it to myself for over a year. Things take forever in teleworld. Two days after the above was shot, Chris Mautner interviewed me by phone in my New York hotel room and that's just gone up too. There are a couple of words that came out oddly due to my accent (Just been fixed), but what the hey. In these interviews I do tend to roll out a standard spiel, so if you've read one you may not want to read them all, but I do mention the tv show again here if you're fishing in that pond. Otherwise should read Joe McCulloch's very poetic review of leotard.